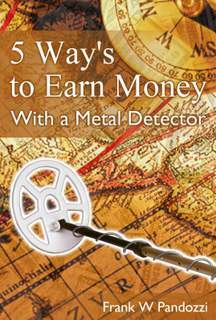 Metal detecting in Idaho means you need to follow the ARPA Laws(Archeological Resources Preservation Act). "The National Historic Preservation Act (NHPA) was enacted in 1966 to protect the Nation’s historicalresources from increasing development and expansion pressures by establishing a comprehensive national historic preservation policy. It goes on to further state that: It defines historic properties to encompass a broad interpretation of Americanhistory and acknowledges significance at all levels, not just nationally. Furthermore, historic properties arenow understood and appreciated as part of—not isolated from—the landscape in which they belong. Implementationof this act is mainly through 36 Code of Federal Regulations (CFR) part 63, Determinationsof Eligibility for Inclusion in the National Register of Historic Places, and 36 CFR part 800, Protection ofHistoric Properties. The regulations that implement the NHPA and their accompanying guidance documentsformulate a proactive national policy on historic preservation. It specifically directs federal governmentagencies to take historic preservation into account in planning their initiatives and actions. Thus, thefederal government is now a full partner and a leader in historic preservation."" Here is the ARPA law. This page at my site is a summary of the ARPA law, and some of the issues facing different States. As confusing as the above laws may seem, if you are detecting in Idaho, do not remove any item from BLM land or any State Lands. For detecting in Idaho town, village and city parks, you'll need to check with those local officials. If you plan on metal detecting in Idaho State Parks, you must first check with the park rangers. In addition, you are not allowed to remove any items from the park. Yes, our hobby has been attacked by beauracrats, and archaeologists. They have tried to shut us down by making laws that prohibit us from metal detecting. And because of these laws, many have quit the hobby. Do not do this. If we stop enjoying the hobby by throwing up our hands and saying, "I've had enough of the BS, that means they win. Instead of quitting, continue on enjoying the hobby. We all need to stand together and be strong against their attacks. Metal detecting in Idaho ghost towns? Ghost towns are in the east also.